NEW FOR 2018! 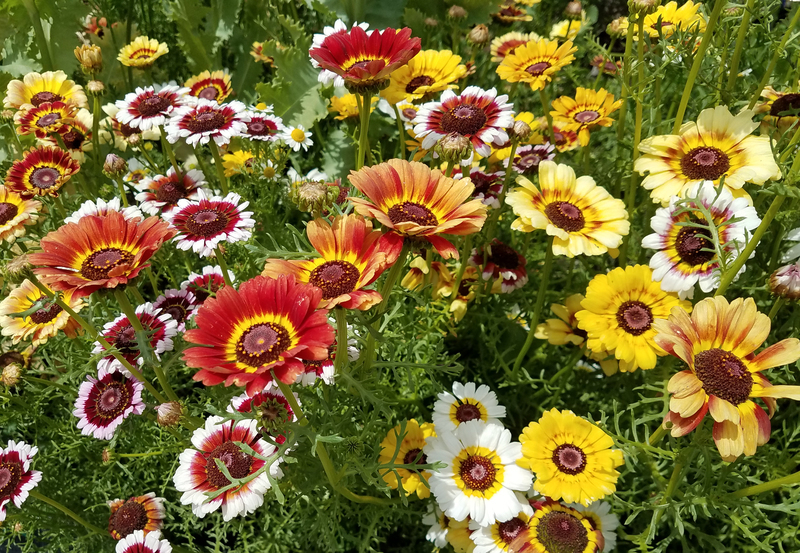 Commonly called tricolor or painted daisy, these Mediterranean natives make good cut flowers and "meadow" flowers, naturalizing with a little help. 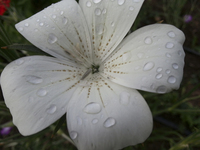 Plants are 2-3' tall with flowers in 3-color combinations of white, burgundy, yellow, scarlet, orange, lavender and pink. Has the visual appeal of Cape Daisies like 'Zulu Prince,' where striped petals create concentric circles of color around an intricately patterned eye.